This week I'm going to share an experience I had recently with a healer named Melissa Middleton. Melissa had her own awakening when she healed herself, this led her to discover different modalities for well being and healing. Melissa owns a shop that is in downtown Marquette and offers mind-body therapies as well as coaching and instruction. 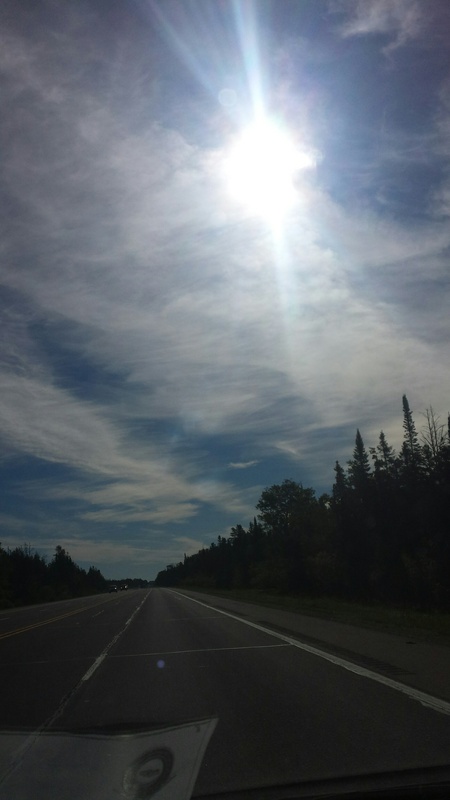 About a month ago my good friend Joy Melchezideck invited me to come to a "practice session" for 2 women she was training to do what is called Heart Thread healing energy work in Marquette Michigan. I agreed to be a test subject because I know a Heart Thread can heal, it's worked for me before. Prior to going there I was fatigued, worn out, I had some mild tension in my shoulders and a some soreness in my hands which I knew was the start of carpel tunnel. The session itself was gentle and peaceful, I felt really good afterwards. The results were amazing. I've regained my energy, my soreness is gone in my shoulders, and now the soreness in my wrists and hands has faded a bit. I believe Melissa has the ability to help us heal ourselves. I would recommend her. You can contact her at awakenings@live.com. Her business is located at 118 West Washington Street, Suite 2C, Marquette, Michigan. Top right is me leaving the golf course and top left is me arriving in town where the clouds seemed to be spreading out even more. It was a beautiful June summer day, not a cloud in the sky when I started working that morning. Normally I'm in the studio but on this morning I was doing my morning radio show on the road, at a local golf course outside of town. It was the Lady's Symetra Tour, up and coming womens' professional golfers from all over the world were on hand for this event. Towards the end of the broadcast I noticed 3 jets coming from the east, one was going straight, the other 2 seemed to criss cross. Shortly after our clear blue sky turned cloudy. 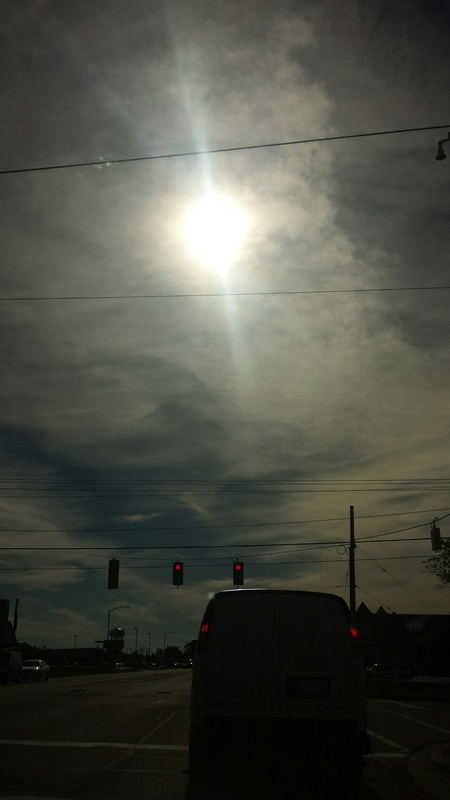 As I drove back towards town those plumes from the jets looked like they expanded outward and became full blown clouds. How does that happen? Weird. About a month prior to that I had a local contracter over and his crew was putting on a new roof for my house. We sat down in the kitchen and he said to me, "You know what those trails are that the jets are leaving?" I told him I thought it was chemtrails. "Nope, they're seeding the sky and the clouds, they want to make it rain." I can tell you this, we have gotten a lot of rain this year. We just got through getting pounded for 3 days by heavy rain. the lake levels and river levels are very high. I've never seen some of these levels so high. Whether or not this is proof of something unsual going on is beyond me, but it got me thinking. Short show this week. 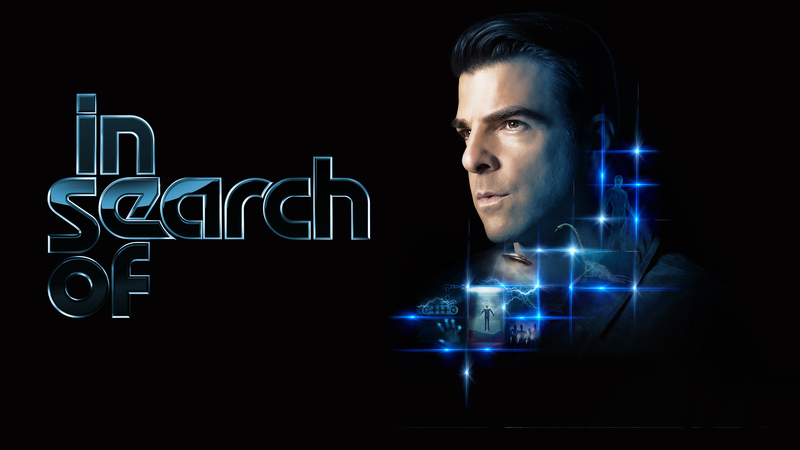 Zachary Quinto is doing a reboot on the History Channel of In Search Of, a show originally hosted by Leonard Nimoy. Odd? Both have played Spock in the Star Trek series or movies. I used to watch the origial series as a kid and was always intrigued by what I can remember of the show. I've been recording Zachary's shows and I like that he takes an open view but also seeks to find evidence to support whatever topic they cover. What I do notice on the current show is that they only talk to a small handful of people and they don't delve too deeply into a topic. An example being that on a recent show they had a man who used to work for the government and claimed he was a time traveler. They never delved too deeply into what he experienced, I would have liked to have seen more on what the man had to say. Recently they did a show about Atlantis. Most of the search was done in the Mediterranean Sea, if one is to believe Plato then it has to be outside the pillars of Hercules, the Straits of Gibraltar, and probably in the Atlantic Ocean. Was there an Atlantis? Was it a city, island, or continent? I feel, like many, I am connected to Atlantis. From early on in my childhood I felt a connection, I've been told by psychic friends I did live there at one time. This week we'll look at Atlantis from the perspective of Edgar Cayce and what chanelled beings like Ramtha and Archangel Metatron have to say about Atlantis. One thing I do find interesting is that Hitler felt he was part of an ancient elite race called the Aryan's, and according to some sources there was a group of Atlanteans that were called Aryans, they were warlike and in the end caused the demise of Atlantis. They wanted to create one supreme human race and remove all of the inferior races. Wasn't that what Hitler was trying to do? Was he a reincarnated soul from Atlantis? Maybe that answers why he did some of the horrific things he did. If Atlantis did exist, where is it located? I feel in my soul I was there, perhaps you do as well.